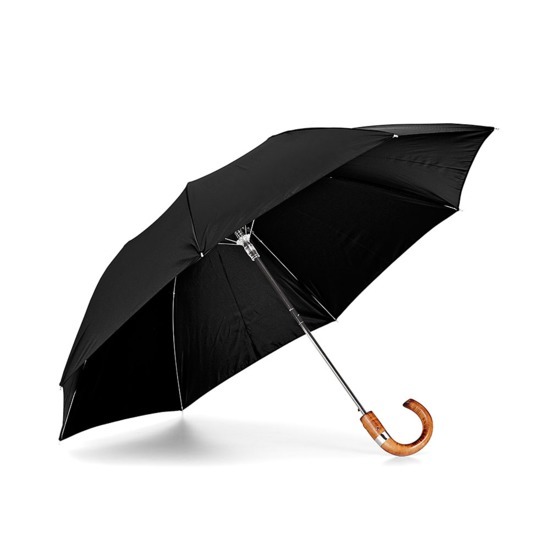 Whether you're teaming it with brogues or wellingtons, our luxurious Gent's Black Compact Automatic Umbrella is ready for duty at any moment, expanding at a touch of a button with the automatic spring loaded opening mechanism. 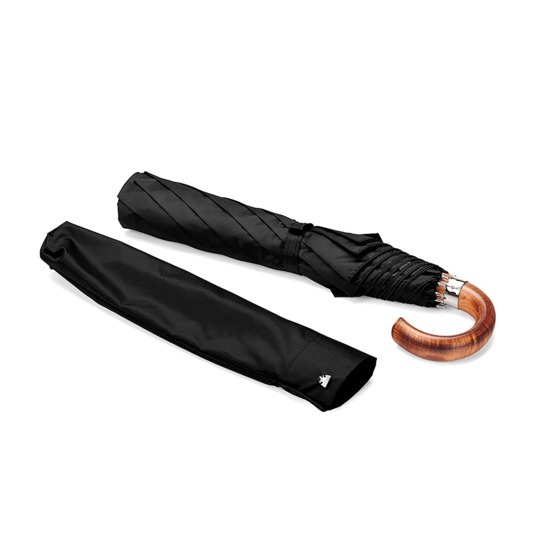 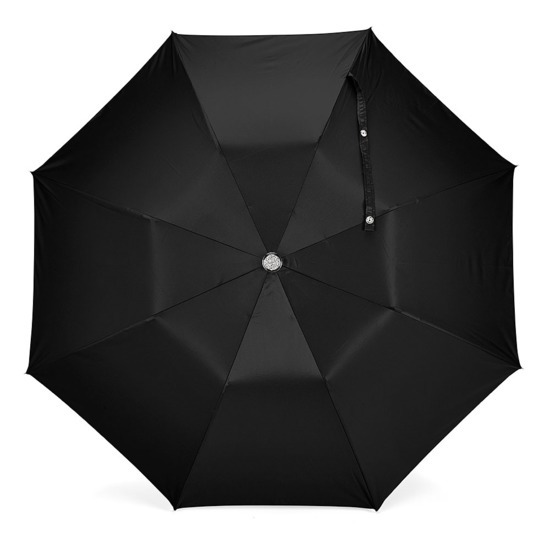 Handmade in Italy, this luxurious single canopy compact automatic umbrella is crafted from an ultra-lightweight and durable black tight-weave fabric with a matching cover and features a striking traditional maple wood crooked handle. 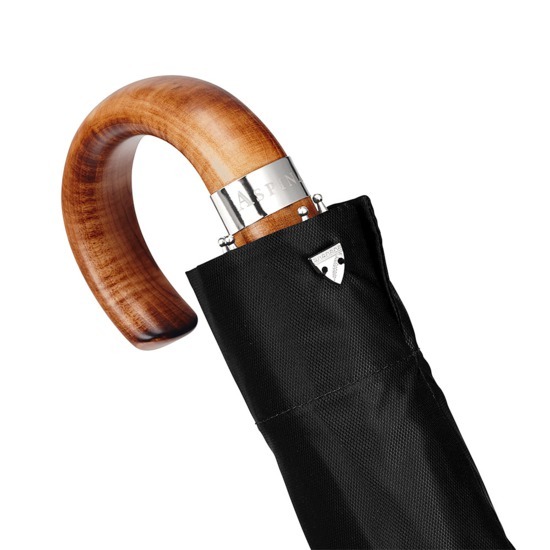 The sturdy steel tube telescopic shaft has eight spokes and a silver plated tip cup which is engraved with Aspinal signature branding. 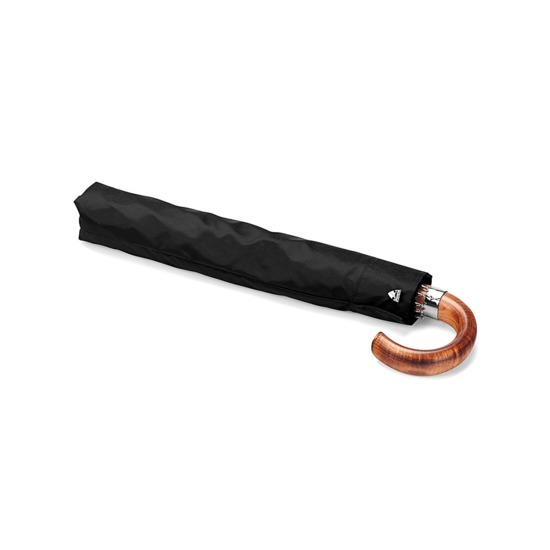 Striking and an instant classic, this gent's compact automatic umbrella will prove indispensible in both a light shower and a fierce storm!